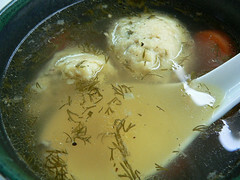 Passover – or Pesah, the Jewish holiday celebrating the exodus from Eygpt – is this weekend. This means that my aunt is on her way to my flat right now to unload leavened bread products on her “non-observant, atheist but likes vegetarian Matzo ball soup and challah” neice. But for Jewish readers who plan to participate and anyone else who’s interested, there is indeed such a thing as a feminist seder – which is a combination of slap-up meal, reading (remember the story about the plagues of locusts and the Jews escaping slavery in Eygpt? That’s what this is all about) and ritual. The traditional seder involves consuming some symbolic food and drink. For example, the reason for the unleavened bread is, if I recall correctly, that there wasn’t time to finish baking before the Jews escaped. I don’t know of any in the UK (feel free to correct me! ), but in the US feminist, women’s seders are increasingly popular. But there are resources you can use to introduce feminism into your own seder, even if nothing like this is going on near you. For example, The Women’s Haggadah links traditional tale of suffering with women and liberation – and Democracy Now! has an interesting-sounding podcast featuring one of the authors talking about plagues “internal and external” faced by women. Alternatively, here is a humanist/feminist version of the Haggadah, expanded to make the language more inclusive and connect the suffering of the Jews to wider struggles for freedom. The commentary includes rabbinic comments on women associated with the Exodus, a discussion of those relevant aspects of Jewish law that apply to women, and homilies — divrei Torah by women for the seder. Wanting to add feminist rituals to the family tradition, years ago,-I called Dr. Herschel and asked about the story behind the orange. What she told me was a very different tale. She had once been invited to a lesbian Seder at Oberlin College. There, the women placed a bread crust on the Seder plate to describe their exclusion from-the mainstream,-an act-Herschel-found unacceptable. But it got her thinking about the different, marginalized people and the “varying-groups”- who comprise the Jewish nation. In particular, she thought about widows and divorcees who are rarely invited to-lifecycle events and major Jewish holiday get-togethers, like the Seder service. She realized that the Jewish nation is like an orange, with many sections creating the whole. That’s when she began putting an orange on her Seder plate. The explanation of “many creating the whole” is offered, and the orange is broken up, blessed (using “borey pri ha etz” — Creator of the fruit of the tree), and distributed just before the main meal, after the “koreych,” the sandwich of bitter herbs, is served. Note: Also check out this post at Jewess, on Passover in 19th century London, as represented in an American journal of the time. Note II: Any inaccuracies in the post may be blamed on my religion-free upbringing. I was talking to my Jewish grandparents yesterday about Seder night, which I haven’t participated in for several years. Although I consider myself an atheist I do miss the tradition of Seder night which I always enjoyed as a child (although that may be more to do with being allowed to stay up late, drink wine and getting money for finding the Afikomen then anything else! ), and although I’m not joining by Grandparents this year, in the future if I do I will certainly be requesting an Orange on the Seder plate (no doubt resulting in an argument with my misogynistic grandfather) and looking into how to make it more feminist! On a related note I’m reading a book at the moment called When We Were Bad (by Charlotte Mendelson) which is about a female Rabbi and her family, set largely around Passover, which is an interesting incite into modern Jewish life. Thanks for the comment. I guess I should have contextualized but I do think that part of what makes pesach so special from an anti-oppression framework is that the holiday is actually about fostering a communityt hat is being oppressed and working together to end that oppression (and not to allow bad parts of history repeat). Anyhow, thanks for sharing your insight.